Winston F. "Short" Hinshaw of Spring Branch passed away at age 86 on Monday, March 22, 2010, at a hospital in San Antonio. Funeral: 2 p.m. Friday at Cotten-Bratton Funeral Chapel in Weatherford with his nephew, Michael Howard, officiating. Interment: Clark Cemetery. Visitation: 7 to 8 p.m. Thursday at Cotten-Bratton. Memorials: The family request that memorials may be sent to Cotten-Bratton Funeral Chapel, 115 College, Weatherford, Texas 76086. Winston was born Oct. 11, 1923, in Whitt. 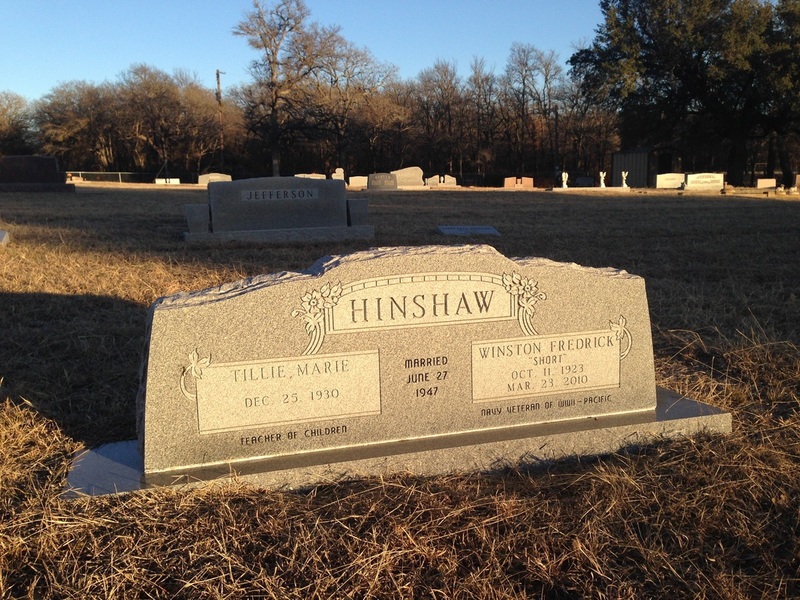 He was the son of William D. Hinshaw and Annie Barker Hinshaw. 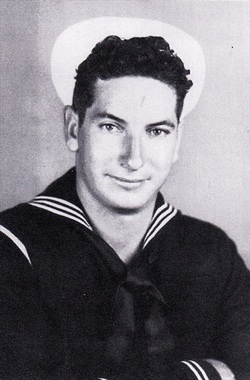 He graduated from Whitt High School and joined the U.S. Navy in April 22, 1944, and was honorably discharged May 17, 1946. He served in the Pacific theater aboard the Navy ship USS Highlander from Iwo Jima to the signing of the peace treaty in Tokyo. He was an operations manager for a fence construction company. After retirement he built custom equine barns. He was predeceased in death by his parents; brothers, Jim, Lawrence and David Hinshaw; and sisters, Ozella Barham and Ella Walker. Survivors: His wife of 62 years, Tillie Pemberton Hinshaw of Spring Branch; sister, Dorthy Hinshaw Schindler; daughter, Nita Ann Harrell and husband, Richard G. Harrell; daughter, Penny Lynn Tressler and husband, Dr. Samuel D. Tressler III; grandchildren, Ryan Buck Harrell and his wife, Rachel Benke Harrell, Rustin Dean Harrell and his wife, Clarissa Ann Harrell, Nikolaus Andrew Tressler and wife, Anne Elizabeth Tressler, and Gretchen Elizabeth Tressler and Michael Allen Louden; and great-grandchildren, Charlotte Marie Tressler and Mackenzie Alexandra Harrell.